FREE Tri-Coastal 12-Pc. Lip Gloss Cube! You are here: Home / Great Deals / Christmas Deals / FREE Tri-Coastal 12-Pc. Lip Gloss Cube! Sears has this Tri-Coastal 12-Pc. Lip Gloss Cube on sale for $9.98 and you can get back $10.08 in Shop Your Way points, making it FREE! Perk up your makeup collection with a 12-Pc. Lip Gloss Cube from Simple Pleasures by Tri-Coastal. 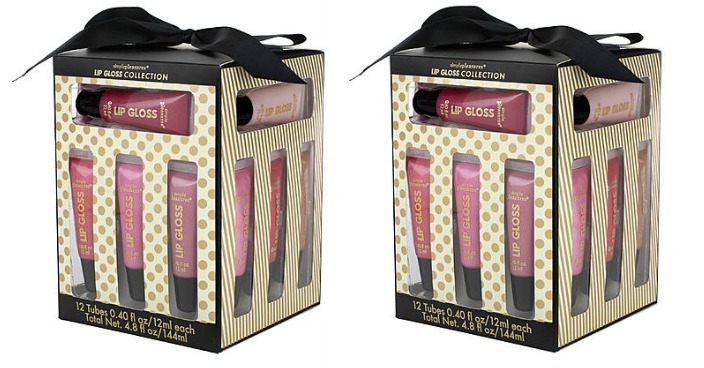 This multi-piece collection contains a variety of lip glosses in fresh, attractive colors and comes ready to give in a cute gift box. You’re sure to love the soft, subtle style of these lip glosses.